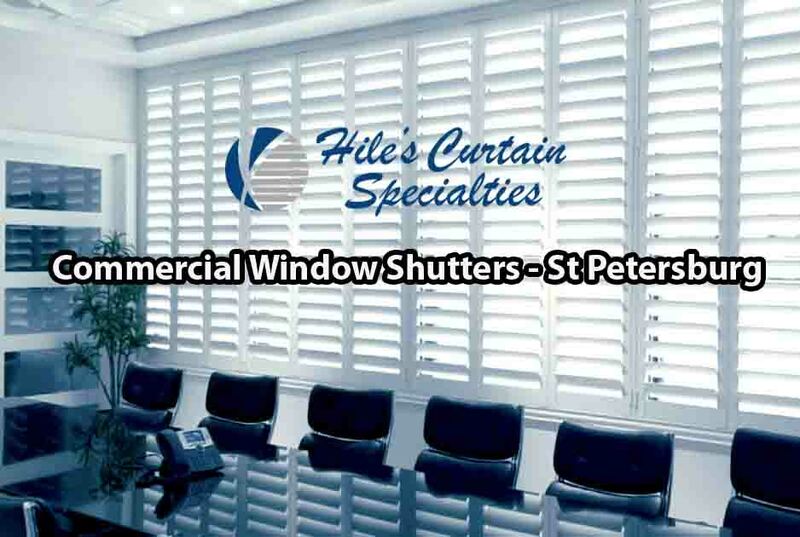 Commercial Window Shutters – St Petersburg – Shutters add not only style to any commercial or office environment, they offer energy savings as well. Hile’s supplies and installs commercial window shutters, blinds, shades and curtains for property owners, managers and general contractors. We offer a wide selection of appropriately priced solutions in a variety of fabrics, textures, colors and functions for your commercial window treatments. If it covers a window with style, it’s Hile’s! Here at Hile’s Curtain Specialties, we specialize in offering high quality professional commercial window treatments at competitive prices. We are much more than a curtain company and will provide you with the most personalized service here in Florida.